Let’s face the reality. Everyone loves to get great custom printed sample boxes in the mail and when it’s free of cost, what could possibly be better? With numerous options being bombarded our way, picking out who actually is the best amongst them all can turn into a daunting task for many out there. If that’s an issue you’re currently facing at the moment, we’ve got some great news for you. We are your guide to the most diverse range of gift boxes that can be customized in print according to your preferences. From abstract shapes and innovative designs to multicolored hues and fascinating themes, they’ve surely got it all. Every gift box sample being sent out to you is based on the profile and design scheme you’ve selected via a set of questions. Just fill up a simple questionnaire and they’ll make sure you’re delivered something worth ranting about. You’ll also be asked to write a basic review on what you think of the product and whether or not it’s something you’d like to purchase in the future. We usually don’t believe things until we come across them but these samples are definitely something you’ll want to get your hands on. And they’re totally free to avail, use and keep for your endeavors. 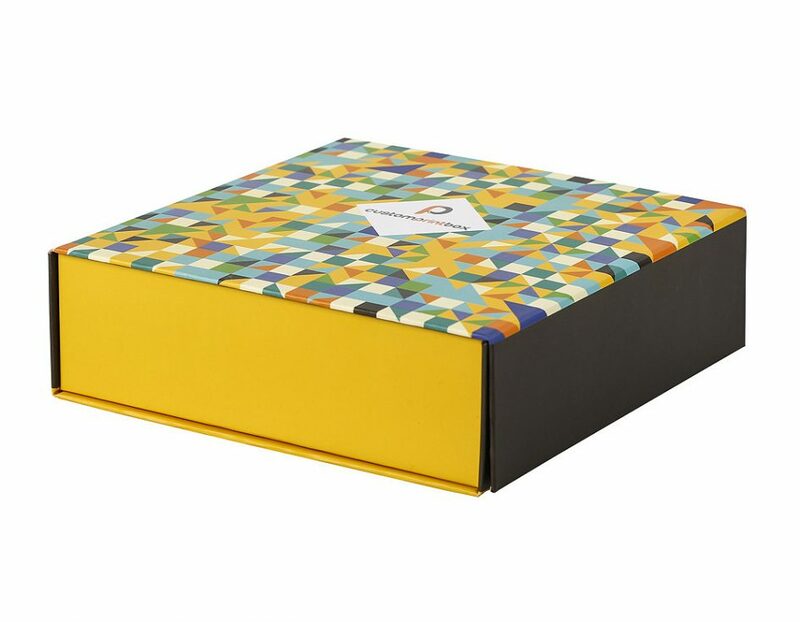 CustomPrintBox is everything you’ve ever dreamt when it comes to gift boxes. If you’re wondering what the term collapsible means in this context, it’s simple. Gift boxes that can not only be customized to your likings but they’re great in terms of flexibility too. These gift boxes are rigid yet foldable. How amazing is that? Every elegantly styled customized gift box is characterized by its laminated cover and tight seal closure via the use of a magnet. These little patent beauties are fabulous for an unlimited number of things, more specifically those relating to high-end retail. Once you become a registered member at CustomPrintBox, you will have the luxury to download a vast array of impeccable design templates that you can utilize. And if you’re an advanced user, you can make use of state of the art illustrators to upload your end design cover. Users can choose amongst multiple numbers of options that vary between full-color print or plain print and whether your final finish should be gloss or matte. The end product is derived from an amalgamation of both art paper and paperboard. Now that we’ve introduced a brand that’s making headlines in terms of handing out free sample boxes to users worldwide, let’s take a look at what the real deal actually comprises of. Every box is designed by you so that means you hold the exclusive potential of taking your design in your hand. Only the highest quality of fine materials is made use of for the product’s design and composition. If you’re worried about the product becoming distorted when being shipped to a far out destination, there’s a solution for that too. Each box is designed in the most user-friendly way with boxes being shipped out flat. They can then be easily assembled for your usage. Gone are the days of taping, sealing or gluing boxes. Every box is sealed using a hidden magnet so that your product is foolproof safe and sound at all times. Pull strings in the box allow you to dismantle or assemble the box whenever desired. The world of organic marketing is a tough place to work in. With competitors increasing as we speak, they strive to reach new heights is a struggle many newly established businesses face. Now that we’ve given you a heads up on how you can design these brilliant customized collapsible gift boxes, let’s take a closer look at the versatile uses these boxes can portray for your business and market your name the right way. Carrying samples, products or belongings home from work isn’t something many people pay attention to. The end result is disorganization and frustration when you can’t find something you need. With these customized collapsible boxes, you can now easily bring work home from the workplace with ease. Store bought groceries can now be brought home in high quality, custom designed boxes with your brand’s logo being defined. You can never fall short of innovative ways of packaging and wrapping gifts. 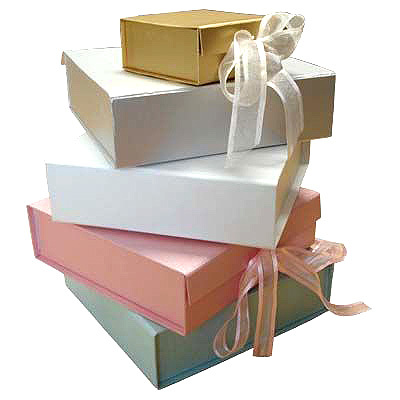 So why not make use of these customized collapsible gift boxes to pack all kinds of premium products. You design, customize and finalize, they deliver. And that’s as simple as it is. Package all your glories in an effortless manner with a product that takes customized printing to a whole new level. And before you develop thorough trust in the brand, get to know the product well while enjoying their free samples.